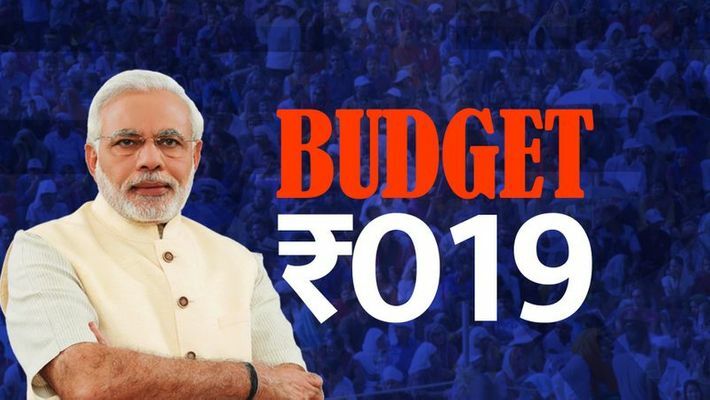 Budget 2019 a savvy one, but has it come a year late? Finance minister Piyush Goyal, in his budget, has covered about 70% of the rural households through the Pradhan Mantri Kisan Samman Nidhi, all taxpayers through the doubling of tax exemption and 90% of households through the Pradhan Mantri Shram Yogi Mandhan, across rural and urban areas. There are three important takeaways from the interim budget presented by finance minister Piyush Goyal: social security, initiatives for middle class taxpayers and political acumen. Two key announcements of income support for farmers and pension scheme for the unorganised sector stood out as the most important reforms in this budget. Pradhan Mantri Kisan Samman Nidhi, the income support scheme coupled with incentive for timely repayment of advances, tries to move the conversation away from farm waivers to income support and repayment of advances. Being a direct transfer, this scheme should entail minimum leakage. The finance minister announced that about 12 crore families will benefit from this scheme, which would mean about 70% of rural households. Pradhan Mantri Shram Yogi Mandhan for unorganised sector workers, builds on the thread of insurance schemes of the past four years. This can be transformative for the estimated 45+ crore employees in the unorganised sector. Across rural and urban areas, this scheme will cover 90% of the households in the country. Similar to structures of affordable insurance, the idea of a contribution of less than Rs 100 for a pension scheme is laudable. Potentially, a large corpus of funds can be pooled together. Part B delivered the bazooka of the speech. By doubling the income tax exemption for individual taxpayers, Goyal wooed a large part of the urban electorate, which hasn't quite voted for his party during some of the Assembly elections over the past 18 months. He added a few touches to the big announcement with notional rent and capital gains from a second house. Another data worth mentioning was that 99.54% of the tax returns were automatically dealt with in the last fiscal year. The message to the middle class was loud and clear. From an economic standpoint, the tax savings and rural income support could add to more consumption. This in conjunction with the already recovering corporate earnings could set up the economy for a nice, virtuous cycle for the next few years. The scale of the announcements and the political savviness of the finance minister stand out. With the general election close at hand, the finance minister has covered about 70% of the rural households through the Pradhan Mantri Kisan Samman Nidhi, all taxpayers through the doubling of tax exemption and 90% of households through the Pradhan Mantri Shram Yogi Mandhan, across rural and urban areas. The subtle message was that there would be no more incremental tinkering. The finance minister has said that the fiscal deficit would have been lower in the current year and the next if he had not provided for the new social security schemes. Learned economists are finding issues with how the fiscal mathematics will add up. There are also those associated with the stock market disappointed with the continuation of long-term capital gains (LTCG). The finance minister laid out a clear campaign message centred on two themes: the past 5 years and the next decade. While there was time spent on the well-known themes of Swachh Bharat, goods and services tax (GST), Saubhagya and Ujjwala, it was clear that the government will aggressively drive home the message of inflation control. He also did not shy away from explicitly talking about demonetisation in his pitch on anti-corruption. The image which stood out from Goyal's maiden budget speech, albeit an interim one, was his assertive and clear communication. Goyal showed why he is known to be one of the best communicators in the government camp. One question to ponder: is this savvy budget a year late? This will be answered in May.